If you’re in real estate, you know the value of listing your properties online and on as many listing platforms as possible. What’s better, is when those listing platforms are free. We’ve compiled a list of the best free online platforms you can utilize to increase exposure to your listings because improving your online real estate can improve your off-line real estate sales. This is not a comprehensive list of all the free listing platforms available to real estate agents but does include all the ones we believe perform the best. While some of these platforms are bigger, better known, and probably receive more traffic than others, utilizing them all will surely be the optimal play. Even if a platform doesn’t appear to have the audience or potential value of another, it’s important to remember that casting a wide net can help you catch more leads. After all, what do you have to lose? These are FREE real estate listing websites, so have at it! Keep in mind, everyone uses and searches the internet differently. Even home buyers. Maximizing exposure to different online audiences increases your chances of landing a home buyer from your listings. Put in a little time and effort on the free real estate listings below, and wait for the results. Craigslist is still one of the most highly visited websites in the world and this can’t be overlooked for real estate purposes. For as long as it has been in existence, Craigslist has been a valuable first stop for any person looking to make a geo-specific purchase. In this case, home buyers browsing local real estate for sale. Even with the high volume of traffic, real estate listing posts on the site can end up being very dry due to the lack of design options. Both good and bad, this can make listing your properties quick and straightforward but can lack the aesthetic you hope to convey for a property you’re trying to sell. Even though it can be hard to make a home for sale stand out to a potential buyer on Craigslist, the large number of active buyers more than makes it worth it. Zillow is the best-known name in real estate circles and for good reason. With a focus exclusively on all things real estate, they have all the necessary features for posting a well-crafted property listing that appeals to home buyers. Zillow isn’t just a website with a lot of traffic from internet users, it’s a website with a large audience of already interested home buyers and sellers. The quality of the impressions your listings will get on Zillow are unparalleled. Not only do most home buyers begin their search for their next real estate purchase on Zillow, but most end up there eventually again. With syndications from top search engines, blogs, and traditional advertising, it’s likely your listings will get tons of unique AND second chance views. Finally, it’s the feature-rich options that make posting real estate listing to Zillow worth it. With video options, real estate specific detailed descriptions, and additional design capabilities, you can’t possibly go wrong with posting all your listings on Zillow. Asset Column may not be a big player in the real estate listing game, yet, but its ease of use that will surely get it there. This is one of the fastest and easiest listing websites available and because it isn’t as well known, there’s still lower competition. It’s worth pointing out that Asset Column is focused on being the “marketplace for real estate deals”. 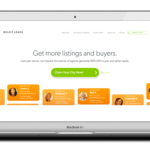 Meaning they get site visitors interested in wholesale, fix and flip FSBO, and other targeted segments of the real estate shopping world that can get your listings in front of a whole different audience of shoppers who may not be easily accessible anywhere else. Start listing on Asset Column and you’ll quickly see the value of utilizing “less popular” real estate listing websites. As the name indicates, ForSaleByOwner is popular amongst the real estate world interested in selling their homes without utilizing agents. If you’re interested in accessing this niche segment of potential home shoppers and buyers, it’s worth checking out the large swath of available listing features. If you’re an agent, you can take advantage of their free 30-day trial of premium feature listings. If you’re selling your property on your own, or as a real estate agent, you can find value in the highly targeted audiences on ForSaleByOwner. From the user’s standpoint, searching and browsing properties is very easy and there’s a large number of visitors to this site daily. ForSaleByOwner also extends the reach of your listing information by passing it on to other large real estate directories like Redfine.com. Enjoy the breadth and depth of their free tools and resources and get 30 days of premium features for free. The quick reason to post your listings on owners.com, is that it’s free and they get a large amount of traffic from home buyers, home sellers, and industry professionals. They offer a ton of value and easy filtering options to buyers and that means there’s a lot of them seeing your listings on Owners.com. Sellers can enjoy free FSBO listings, home valuation tools, and robust listing options that are a little bit more evolved than some other free listing sites. One feature that makes buying and selling on Owners.com worth it, flexible MLS integrations. If you’re interested in exploring a different avenue to listing your properties, definitely check out Owners.com for free listing capabilities. Fizber is similar to Owners.com, in that it’s got a niche segment of targeted home buyers. Best of all, you guessed it, you can post for free. Like some of the other listings sites on this list, they offer a distribution network that helps boost your listings information to other important listing markets, like MLS, Zillow, and Trulia. Fizber appears to have a large share of the market when it comes to big city home buyers. If you are selling in a big city market, it’s worth listing your real estate property on Fizber to help capture some of these local eyeballs. Like Craigslist, Oodle isn’t just about real estate because it is primarily a local shopping community of all things. This presents a great opportunity to reach passive, or geo-specific home buyers. On the surface, this site might not seem like much to those who haven’t heard of it before but posting a listing is as easy as it gets. With limited options, comes easier posting and the people who browse and shop on the site are very loyal. You may not have access to these potential home buyers anywhere else. Yes, they offer some syndication options within their real estate market listings, but being able to quickly post a listing and reach a hard to find audience of home buyers make this site worth checking out. 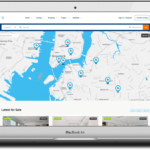 FindMyRoof is a relatively unknown player in the real estate listings category, but it’s a free location to list your homes that gets a large amount of search engine traffic from home buyers. Straightforward posting options and a targeted segment of real estate buyers and sellers paired with free listing options makes FindMyRoof.com worth checking out for any real estate listings. As you can see, most of these listing websites offer similar, if not exactly the same, features. But again, the more places you can put your listings, the greater the exposure to new and varied audiences. Here’s a list of additional websites you can post your listings for free and with free trials. To be clear, free or free trial doesn’t mean all the features are free. But if you can list your property and get the benefits of better information distribution, even if only for 30 days, this can boost your listings reach further than not posting them at all. We didn’t get into paid features, that are largely affordable, in order to keep this list concise and short. We’re not endorsing these sites but simply trying to get everyone to try out and find the listing networks that work best for their properties (free or not). From the Kahping website: It’s not just our philosophy, it’s our guarantee. And it’s always FREE. Unlike other real estate platforms, KahPing does not participate in lead generation sell-off. KahPing guarantees that only the listing agent is represented next to their listings and that they receive their own leads for free. Consumers no longer have to experience the frustration of fielding calls from multiple agents on a single property. Think of Sellhomes.com as a giant e-commerce marketplace where you can sell just about anything, from your own store, including real estate. Hoobly is another large marketplace type website with millions of website visitors each month. Utilize their real estate specific segments and listing tools. PennySaverUSA is more about savings and deals but, yet again, you can easily post your real estate listings to new potential audiences. Post an ad for free and this “aggregator” will help distribute your ad across multiple sites and in front of millions of potential viewers. Geebo is an online community of users who share, post, and follow specific sets of information. FreeAdsCity is similar to Craigslist and the community centric websites that offer free postings. Post, browse, distribute information, share photos, and connect with community on FreeAdsTime. One of the oldest websites in the world, you can post and distribute free ads. It’s got more than 3 million user posted ads right now. Largely real esate and automotive based, this website lets you post your listings absolutely free and quickly. User to user based, Locanto.com is a great place to post real estate listings outside of the larger market sites. Though we don’t know much about this site, mure.adpost.com offers free real estate listings by geography. Kugli is focused on local and regional classified listings of real estate and properties. GoldClassifieds is free online classifieds, advertising classifieds, and listing classifieds. SuperAds is most similar to Craigslist. Post your real estate listings quickly and easily. As the name suggests, Global Free Classified Ads is Cragslist but on a global scale. 10DayAds is a free classified ads website for selling many different new or used items and listing your business. Will work fine for posting real estate listings. HouseList has free real estate listing options but a smaller audience size than other websites in the listings niche. BuyandSell is specifically focused on trades across different nations, but listing your real estate won’t hurt to get information on the web. ClassifiedAds is similar to backpages or Craigslist. REIFreeClassifieds is real estate specific and offers a niche listing capability. Beycome is FSBO first, but does allow for free listings. Again, there’s a lot of paid upgrades and hundreds of places to add your listings, but you can’t beat free exposure to niche audiences interested in what you’re selling. Each site offers a different amount of return, in terms of potential buyers, but you can’t underestimate the ability of finding a home buyer for free. Find the listings you can balance time and effort best with. 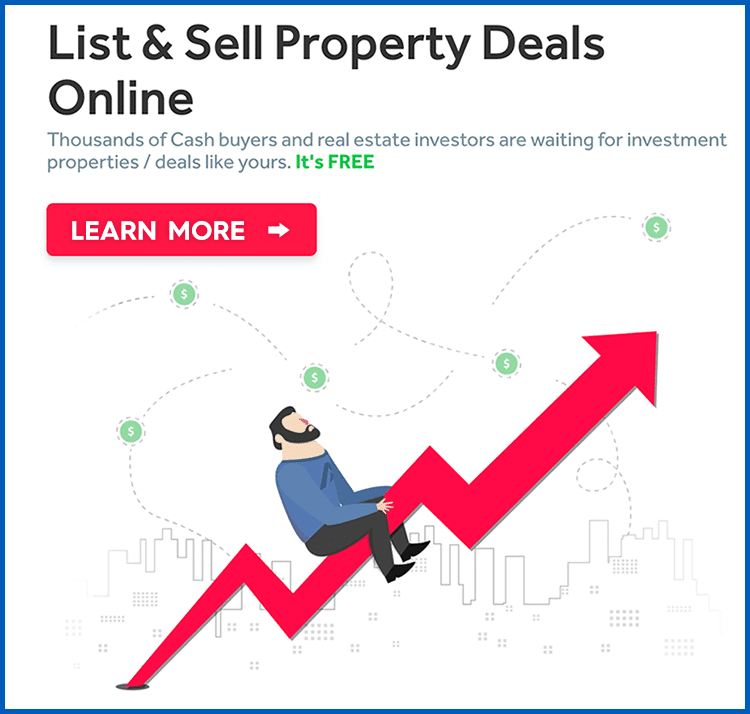 Once you get into a listing schedule on a site you like or have success on, you’ll quickly find a large amount of value in utilizing these free listings for ROI and listing exposure.